Dalton — Last week I had the opportunity to present to the Ladies Business Group, a local organization of female business owners and decision-makers. The agenda was to discuss investments by way of sharing the mistakes made by myself and others, the lesson being that risk management is more than preparing a portfolio for rising interesting rates or positioning it from a prolonged trade war, or even reallocating assets during a bear market. About a half hour into the investment conversation, there were some thoughtful business questions about the content of my book “Build It, Sell It, Profit: Taking Care of Business Today to Get Top Dollar When You Retire.” That’s when it got exciting as we transitioned from presentation to discussion. Though they do require a plan, there certainly are short-term considerations, such as the implementation of a customer relationship management software system (if you’re using your CRM as a digital Rolodex, you’re doing it all wrong). Or changing the structure of your revenue (there are hierarchies of revenue). Or a meaningful incentive program to encourage success and communication. I have a number of other bumper sticker-like pieces of advice, but perhaps the best piece of “What can I do today?” advice should be presented in anecdotal form. 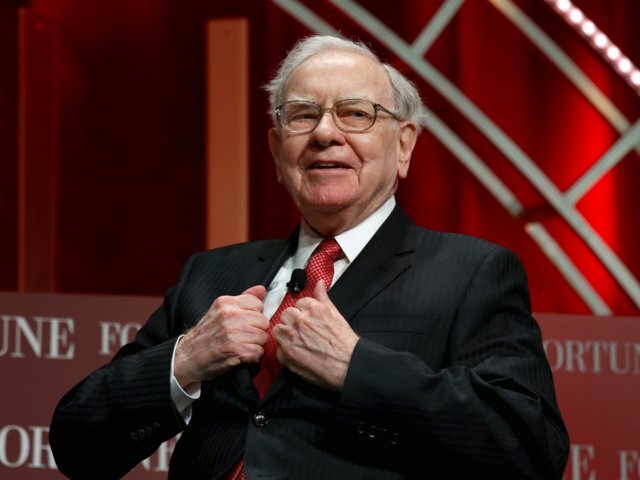 Warren Buffet gets a lot of attention for being a famed investor. However, he is also the head of multinational conglomerate holding company Berkshire Hathaway. When Buffet was asked by his personal pilot, Mike Flint, for business advice, Buffet gave Flint a two-step exercise. Step 1: Buffett told Flint to write down his top 25 career goals. Step 2: Buffet then told Flint to circle his top five. Buffet is right. Most every day at Berkshire Money Management, we get calls from people who are eager to get an appointment with us to discuss investing, financial planning, Medicare, etc. So eager, in fact, that many investors show up as walk-ins wanting to sign up that day. However, when I get a call from a business owner who knows the importance of improving their business, they are so stuck in the daily process of what has become a glorified job that it sometimes it takes them months to set an appointment. They may love their work, but the business will never get better at the rate it could because they’re too busy working in the business to work on the business. And because of that, business owners risk never being able to retire by selling their business. Who’s winning the trade wars? When evaluated by the change in trade balance since its start in March 2018, the trade war is being won by China. According to Chinese customs data through December (census data is lagged due to the U.S. government shutdown), the bilateral trade balance reached its widest level ever in November with only a small decline in December. While we don’t accept the premise that the best way to measure a trade relationship is solely by measuring trade balance, it is the preferred metric of the U.S. president. Despite the intended results of putting new tariffs in place to push trade balance more in favor of the U.S., since March, Chinese exports to the U.S. have risen by $2.56 billion per month, while Chinese imports from the U.S. have crashed $4.66 billion. In percentage terms, that’s a 7.2 percent increase in goods being sold from China to the U.S., and a 34.2 percent decrease of good being sold from the U.S. to China. Why are there so many hard working people who can’t afford to even buy a house, Allen? Why do we have a system of class stratification where some people worry about investing money to profit while others are working all the time to pay the rent? Why do the feedback loops all go the wrong way — wrong if you’re poor?